Tesla Motors claims the test set up by Jeremy Clarkson on a 2008 edition of the show was rigged to make it look like the Tesla ran out of power when racing a petrol powered Lotus. A Top Gear spokesman said the BBC would be "vigorously defending" the claim. On the programme Jeremy Clarkson claimed: "Although Tesla say it'll do 200 miles, we worked out that on our track it would run out after just 55 miles." 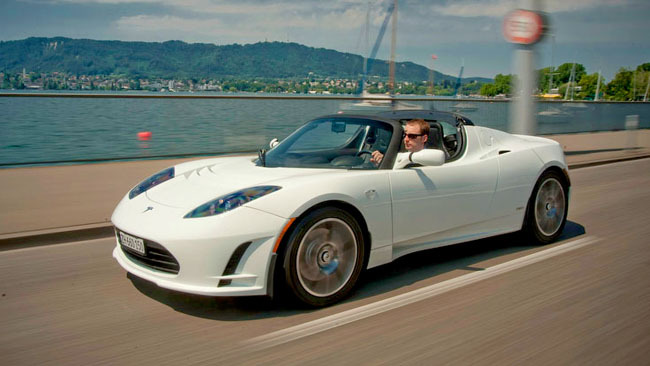 Tesla said the Roadster's miles per charge had been certified at 211 miles by a third party European Union (EU) test. It argued that because the car was "driven aggressively" on Top Gear the charge didn't last as long, but that if driven "mindfully" charges could last for 313 miles. A Top Gear spokeswoman said: "We can confirm that we have received notification that Tesla have issued proceedings against the BBC. "The BBC stands by the programme and will be vigorously defending this claim."